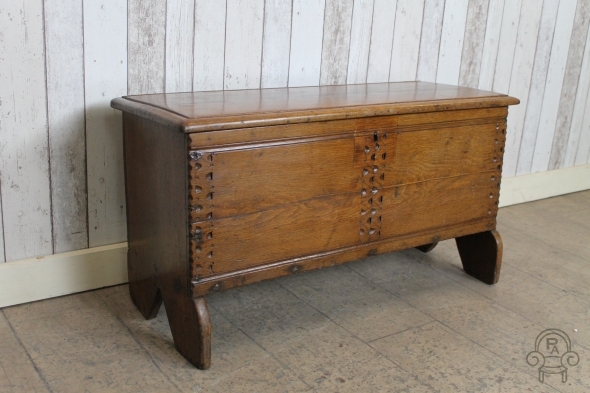 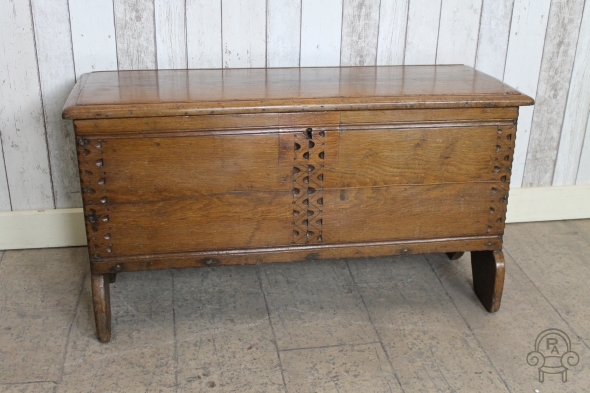 This six plank chest is a beautiful piece of classic English antique furniture. 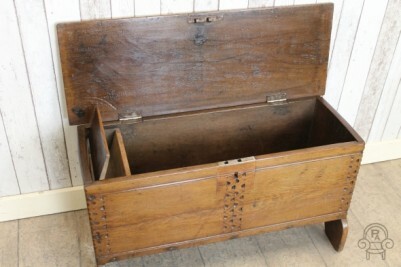 The chest has a lovely golden oak colour and has a small candle box in the inside. The item is in great condition for its age. 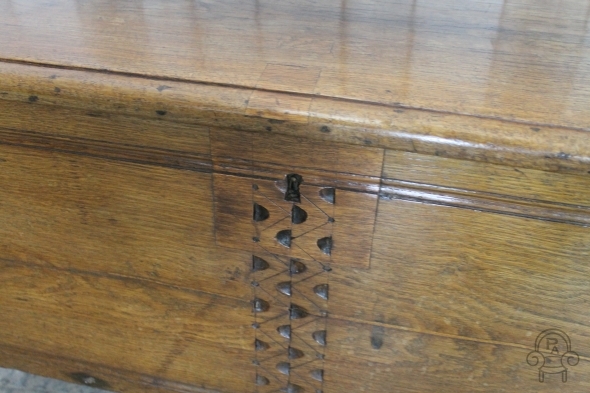 Sadly the hinges are not original, but have been changed many years ago, as has the lock. 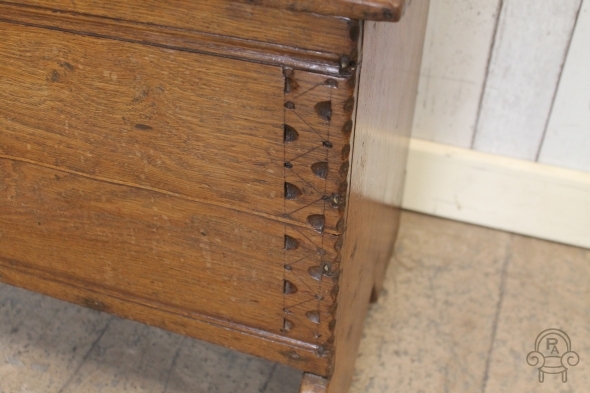 This is an excellent opportunity to purchase a piece of antique furniture that would suit any period property.